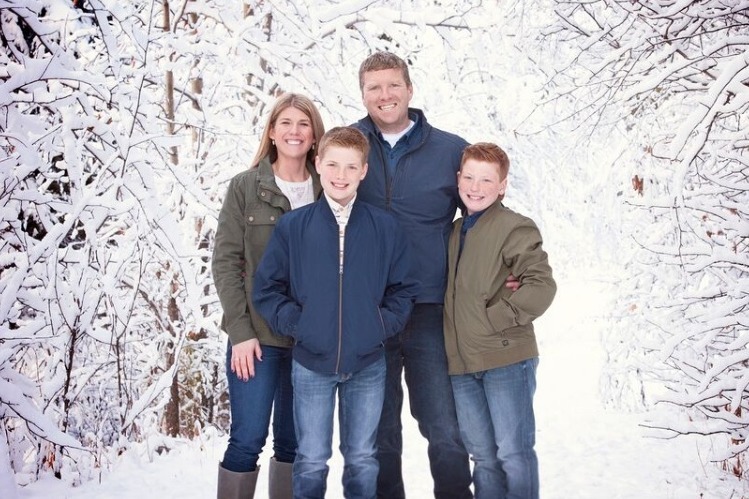 Jason and Julie Ross have been an important part of the Mat-Su Borough School District, the Palmer/Wasilla communities, and the Alaska youth hockey community, since they moved to the area in 2005. They have had such a positive impact on so many people, especially children in our community, that it’s time we rally around their family to show our love and give back to them. From Missoula, Montana, Jason played football for and graduated from Whitworth College. In 2000, he began his teaching career in Kotzebue, Alaska and is currently the principal at Teeland Middle School in Wasilla, AK. Besides being a great principal, Jason is a husband, father, and involved community member. He coached high school football when he first moved to the valley and has coached youth hockey, and with two boys who play the sport, he is the ever-faithful hockey dad. Jason was diagnosed with a Myxoid Liposarcoma in his right brachial plexus in 2011. After radiation, chemotherapy, and surgery Jason was cancer free. In 2015, the cancer returned. Jason has been through many different treatments, most requiring him to travel out of state. With all he has faced in the last 4 years, Jason still gives 110% to his family, his school and his community. The doctors feel they have exhausted all treatment options and have told Jason that he will need an amputation of his right arm and shoulder. The doctors are optimistic that, after the amputation, Jason may be a good candidate for some sort of functional prosthetic that will allow for increased mobility. In order for all of this to happen, there will be numerous trips and stays in Denver needed as Jason has surgery and works with the specialists. Although this means Jason may be able to claim “cancer free” after the amputation, the realities and potential financial costs of it are overwhelming. Please help show Jason, Julie, Jacob, and Matthew how much they are loved and supported as they face this new challenge in Jason’s courageous battle with cancer. Thank you all for the love and support you have shown Jason and Julie. Jason's surgery is scheduled for April 11. Please continue to keep them in your thoughts and prayers.